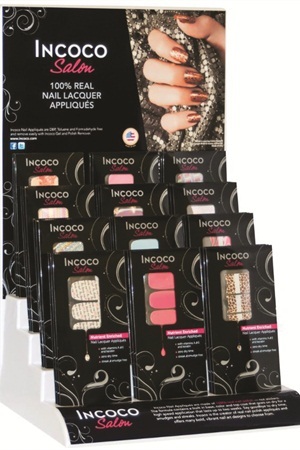 Incoco now offers retail packaging and display kits for its extensive professional collection of nail appliques that are made from 100% real polish and last up to two weeks. Choose from a range of over 200 colors and designs to sell at your salon. Countertop displays are available in 12- and 16-shade units.